Luckily the promised snow didn’t arrive and I was able to have a safe journey in sunny weather to the Isle of Wight for a lovely two day course teaching the Ventnor Botanical Artists how to paint wild flowers as they too will be celebrating Worldwide Botanical Art Day on 18th May with an exhibition at Ventnor Botanical Gardens. 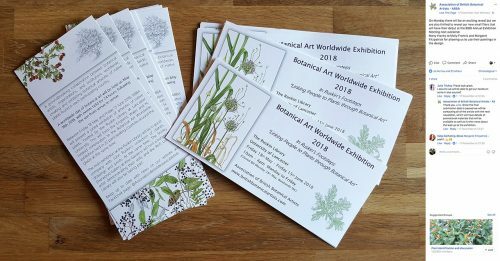 Thrilled to hear from ABBA that my Babington’s Leek painting has been accepted and is to be one of the three images used to promote the exhibition at the Ruskin Library at Lancaster University from 18th May to 15th June. Packing up my Babington’s Leek painting for delivery by Royal Mail Parcel Force was quite a task as it had to be strong enough to travel safely but still able to be opened easily for assessment and then the packaging reused for its onward transmission. What a relief to hear today that it had completed the first part of its journey intact! 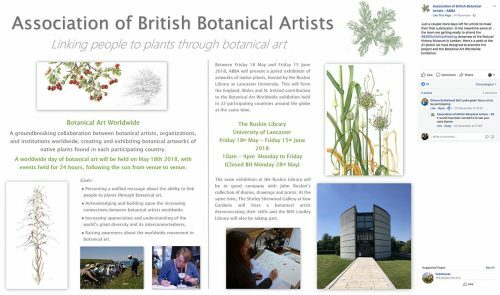 I was very excited when I heard of the ABBA Botanical Art Worldwide Exhibition planned for 2018. 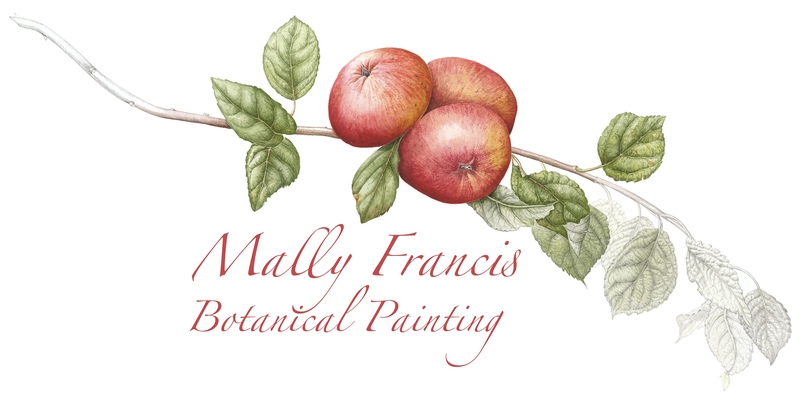 The objective is to include paintings of native plants from all the participating countries. 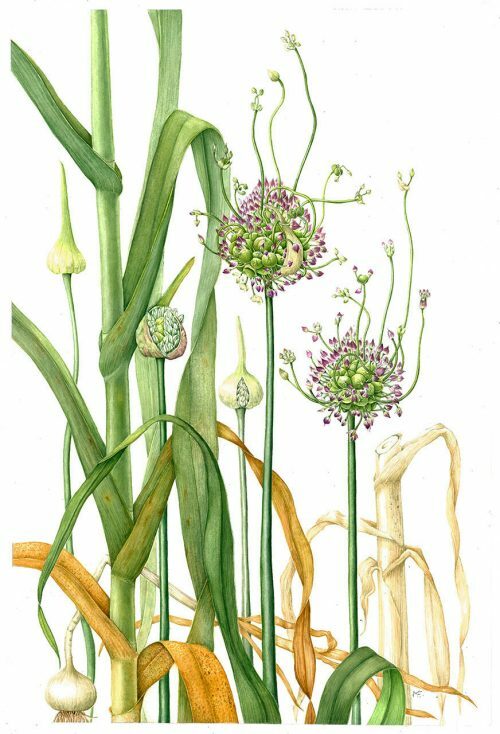 I decided that I would like to paint a Babington’s Leek (Allium ampeloprasum var.babingtonii) as these grow near the coast in Cornwall and they are quite striking and unusual plants. I have seen these them growing on one of the botany walks which my friend, the well-known botanist, Keith Spurgin leads for the Eden Project Florilegium Society so I asked him if he knew where I could find one. As it happened, he had one growing in his garden in Truro so that was the first problem solved! He kindly let me have a full grown one and some smaller ones to plant. The second problem was how to illustrate a six foot tall plant on a piece of paper only about a third that size. I determined that it would be a case of showing all parts but overlapping them so that all the essential bits could be seen. When it was complete my husband photographed it and I sent the image off for assessment with a feeling of some trepidation. I was therefore thrilled and honoured when I found that it was being used by ABBA on their Facebook page as well as on flyers, posters and associated publicity material for the Exhibition.